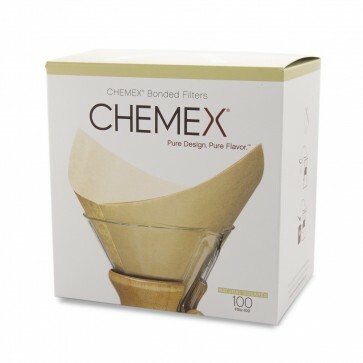 Guaranteed to be 20-30% heavier than other filters you'd find elsewhere, Chemex's patented bonded filters are scientifically designed to give you a great cup of brewed coffee every time. The cone shape provides a uniform extraction and the thicker fiber material keeps sediment and bitter oils out of your delicious brew. 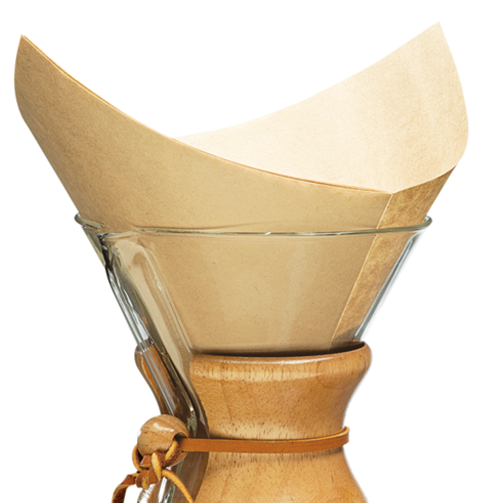 These unbleached natural paper filters fit Chemex brewers 6-cup and larger and are pre-folded for convenience. Pack of 100. Unique Shape - Some find that the square shape of these filers make clean up a breeze with handy points to grab when removing the used filter.